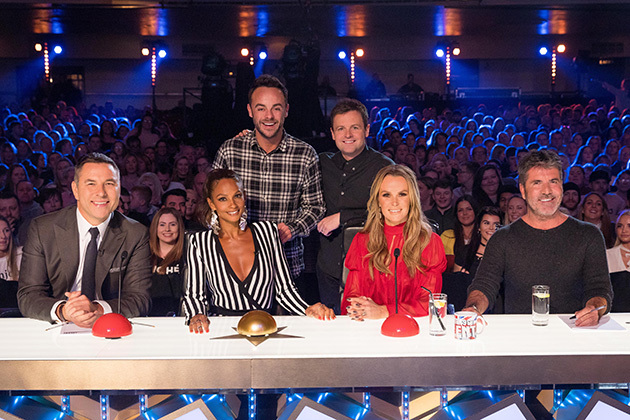 Britains Got Talent fans are preparing themselves for a very different show when it kicks off on Saturday night, as, for the first time, Ant McPartlin will be absent. Instead, his co-host Declan Donnelly will take the reigns after Ant, 40, pulled out of all TV commitments following his arrest for alleged drink-driving last month. Now BGT boss Simon Cowell has insisted the door will always be open for Ant to return, telling The Sun: Weve known each other for a long time, and you stand by the people you work with over the years, for obvious reasons. The most important thing is hes manned up, hes going to get himself back together. And the show goes on, its as simple as that. When asked if he can see Ant returning next year, Simon responded: Of course. This is what happens. People, for whatever reason, they get into a rut and at times like this you stand by your mates. Its always been that way. X Factor judge Simon also spoke about scenes filmed just after Ant announced his split from wife Lisa Armstrong, who works on the show as a make-up artist. It was a tiny bit awkward, that fact that Lisa was there, Simon said. Ive known Lisa for years, spent time with her on my own and spoken to her, and let her know that obviously she is still welcome. Lets hope Ant is back on our screens very soon! The post BGTs Simon Cowell stands by Ant McPartlin following arrest: Hell be back appeared first on Woman Magazine.